Registered "Hotel Guests" are allowed one car, per room at $16 per day. All other vehicles will need to park at the off-site parking lot which is indicated on the map below. Off-site parking is $5.00 per day, per auto. 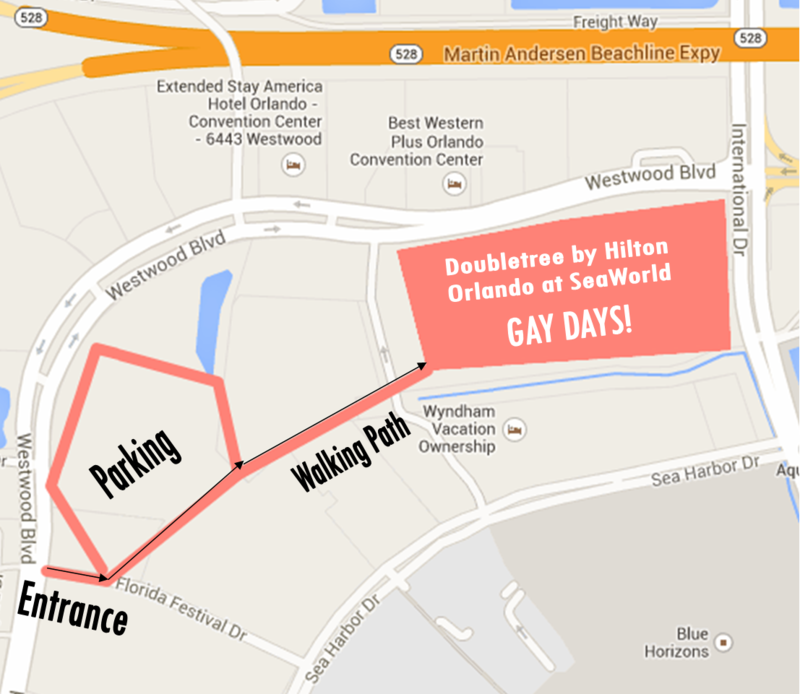 Valet Parking is available at the Official Host Hotel: DoubleTree by Hilton Orlando at SeaWorld, 10100 International Drive, Orlando FL 32821.